Member Rally™ is a chance More Than Just Great Dancing® Member’s to recenter themselves and their business! In these two days members will learn leadership skills, balancing business life with home life and network together as one tribe. 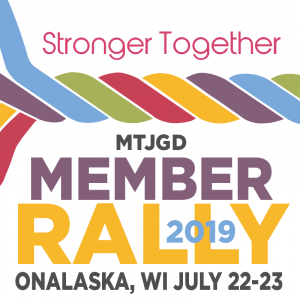 This year’s Member Rally will be held in Onalaska, WI! Member Rally™ is only for More Than Just Great Dancing® members. If you are a member register TODAY! Please contact our Director of Events, Krisa Roggensack, [email protected] We look forward to seeing you in Onalaska!